Showing 33 articles from September 12, 2018. LOUISBURG -- Franklin County's emergency community wanted residents to take advantage of the calm before the storm, opting to open shelters ahead of "monster" storm Hurricane Florence. The shelter at Louisburg Senior Center was opened on Wednesday afternoon. The Louisburg Elementary School shelter was expected to open after that. The county had not made a decision about other shelters prior to press time, but queries can be directed to the Emergency Operations Center at (919) 496-5005. LOUISBURG -- Franklin County Schools have "a lot to celebrate," Dr. Lela Baldwin, chief academic officer, said as she helped brief the board of education on the recently released performance grades from the state. But, she added, "we recognize there is room to improve." Perhaps the only 'Cat 13' in the world! A Cat, a Corbitt and creativity! JUSTICE -- Some visitors to the Justice Tractor Show last weekend may have realized that something was just a little "off" about this setting which was created by Louisburg residents Abe and Janie Kemp and their faithful guard dog. 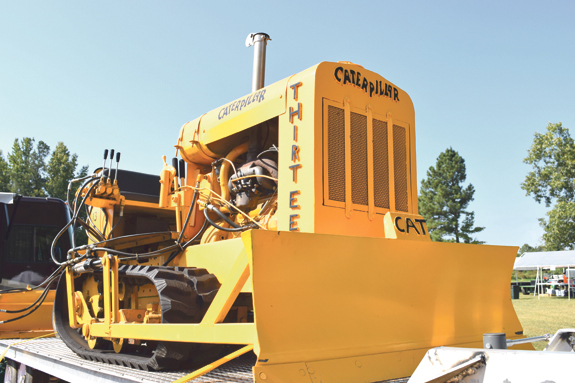 At a glance, it might have appeared that this was a classic Corbitt truck pulling a trailer hauling a bight yellow bulldozer marked as a Caterpillar Model 13. THE BEFORE ... Habitat for Humanity of Wake County, State Employees Credit Union staff and volunteers start a house in Franklin County. Building a future a brick and a board at a time! 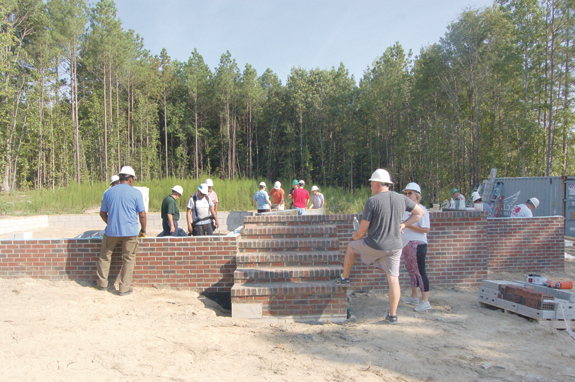 LOUISBURG -- This past Saturday, dozens of volunteers descended upon a lot in Franklin County, hammering nails, cutting wood and sweating bullets as Habitat for Humanity has its first presence in Franklin County in years. 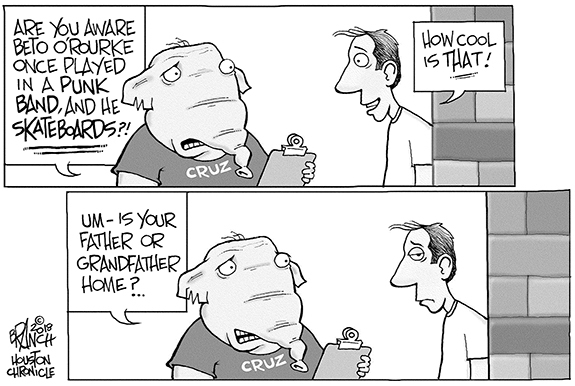 Now, all they really need is a prospective homeowner to sweat along with them. The good news is that we're supposed to have a new emergency room in Franklin County to handle those unexpected -- and sometimes expected -- emergency medical conditions. At least that's the word from the county, which said last week that the emergency room is slated to open on Oct. 8 after an open house on Oct. 3 -- from 3:30 until 7 p.m.
At the risk of sounding a bit "off the wall," is it improper to hope that Franklin County and some other public institutions are wasting money on a daily basis? 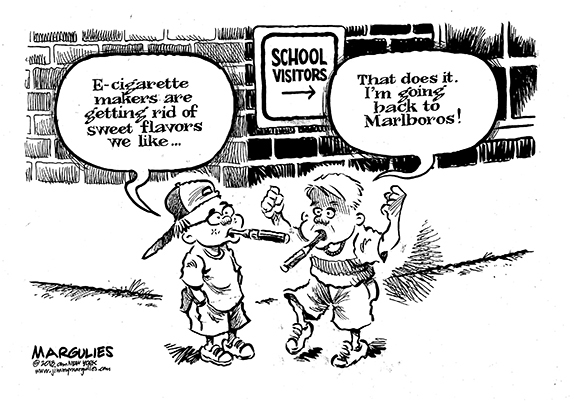 Maybe not, especially if it means that our schools are safe for local students, school staff and even visitors. It's now the reality of the early 21st century that all Franklin County schools, with the exception of the Early College High School, have full-time, armed police officers in them whenever classes are in session. As I wrote this, Hurricane Florence was churning in the Atlantic Ocean, gathering strength and had seemingly put a bulls-eye on the North Carolina Coast and -- further inland -- the central part of the state. In the months before I wrote this, Derrick Fuller, along with a dedicated group of volunteers and members of the community, were gathering allies, churning out a plan and had placed a bulls-eye on Sept. 15, the date for Avery's Angels Kickball and Volleyball Event -- a fundraiser for Avery Cooper and her family. LOUISBURG--Funeral services for Cornelia Gallatin, 97, who died Tuesday, Sept. 11, 2018., will be held Monday, Sept. 17, at 1 p.m. at Nelson Chapel Baptist Church in Louisburg, with the Rev. Sidney Dunston officiating. Burial will follow in the church cemetery. FRANKLINTON--Funeral services for Larry Thomas Holden, 62, who died Friday, Sept. 7, 2018, will be held Saturday, Sept. 15, at 1 p.m. at Manasseh Chapel Baptist Church, with the Rev. Samuel T. Tunstall officiating. Burial will follow in the church cemetery. BURST OF SPEED. 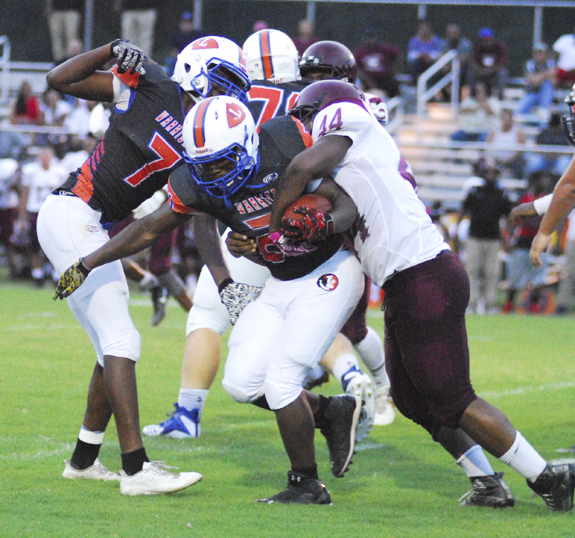 Louisburg's Xavier Jones (right) tries to avoid the Warren County defense during last Friday's football game at Patterson Field. 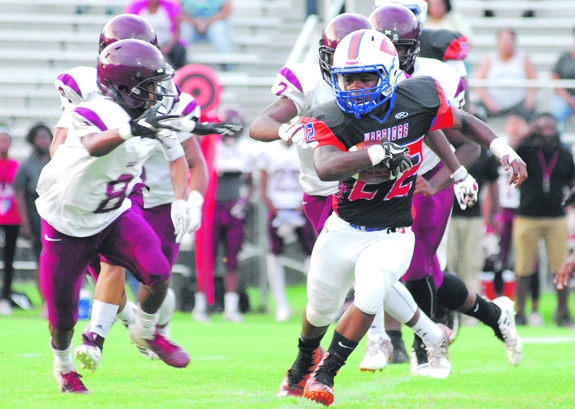 Louisburg Falls To Warren Co.
LOUISBURG -- Both Louisburg and Warren County approached last Friday's football rivalry meeting as a potential winnable game in the Northern Carolina Conference. And it certainly was for each squad as both teams had plenty of scoring opportunities -- but visiting Warren County was able to hold off LHS in the final two minutes to secure a 23-16 league decision at Patterson Field. BEST AT THE BACKHAND. Franklinton High School's Carter Gilliam delivers a shot during last Thursday afternoon's home girls tennis match against Big East Conference opponent Wilson Fike. FRANKLINTON -- Groundstrokes are crisper, rallies are longer and players are more self-assured while strategically patrolling the baseline. 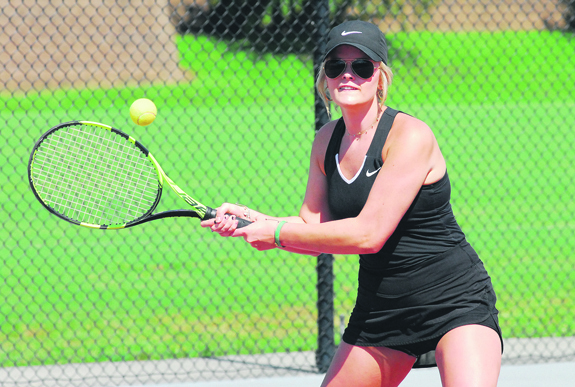 Certainly, Franklinton High School girls tennis is on the upswing as the Lady Rams continue their second season in the always-competitive Class 3-A Big East Conference. TOP RAM. 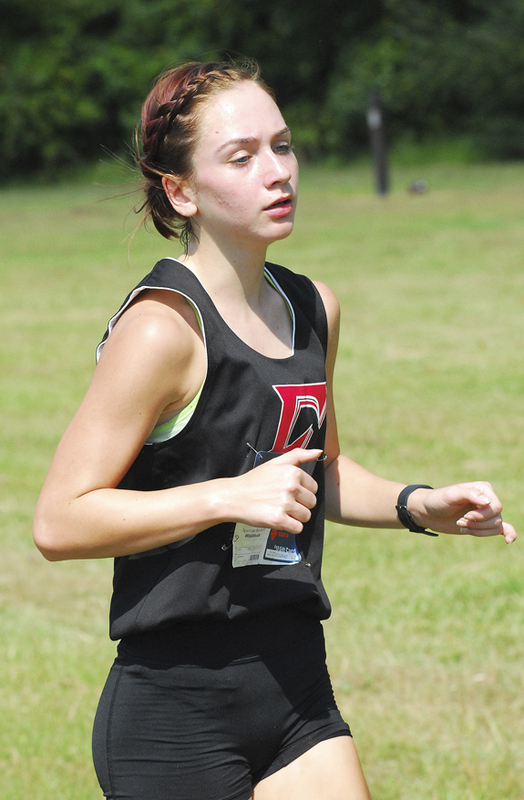 Lauren Esselborn was Franklinton's lone girls performer at the Knights Invitational Cross Country Meet in Red Oak. RED OAK -- Clennie Wilkins has embraced fierce competition during his tenure as the cross country and track and field coach at Franklinton High School. 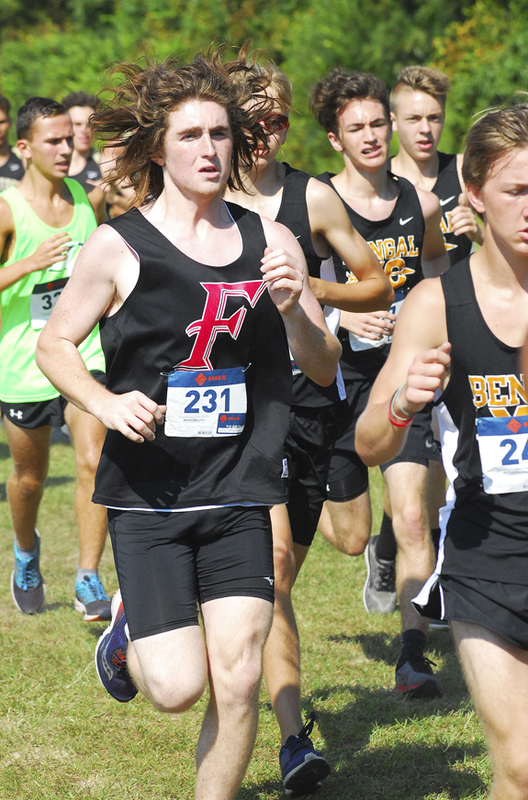 That trait was once again evident when Wilkins took several runners to Nash County to participate in the prestigious Knights Invitational hosted by Northern Nash at its course on the campus of Red Oak Middle School. 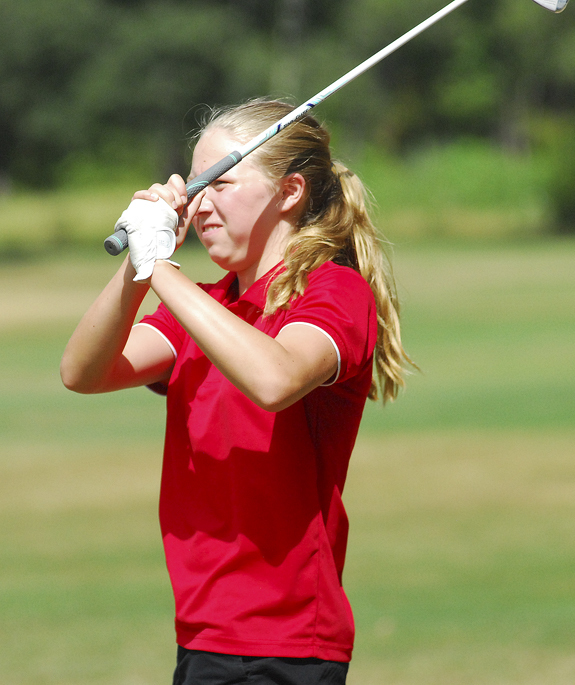 ROCKY MOUNT -- A newcomer has provided a quick jolt to the Big East Conference Girls Golf standings. That player is Wilson Hunt's Plun Rattanaprakarn, an exchange student who just arrived in the area a few weeks ago. When Rattanaprakarn expressed her desire to join the Lady Warriors' golf team, she was welcomed after being declared eligible by the North Carolina High School Athletic Association. RALEIGH -- For the dual purposes of legitimacy and timing, it was hard to top Franklinton's road victory last Friday at Southeast Raleigh. 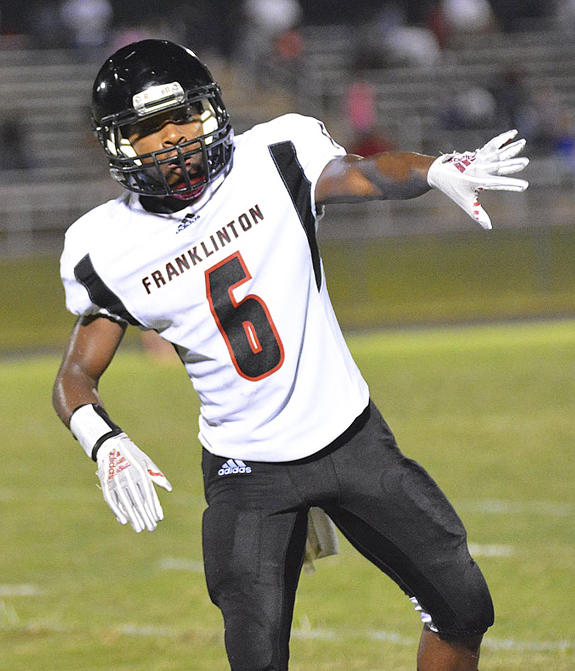 Last season, FHS started 3-0 overall -- and repeated that scenario this time around. But the Red Rams couldn't get past SER in week four, and would struggle the rest of the way. LOUISBURG -- Name a facet of the game, and Kaylee Saunders will undoubtedly contribute it at some point this season toward Louisburg High School's volleyball fortunes. 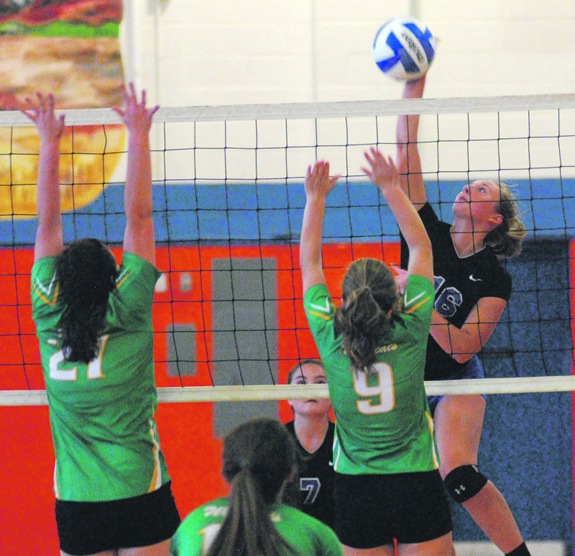 Saunders, a senior veteran, offers hitting ability, defense and plenty of leadership to a loaded squad that is looking to make yet another deep surge in the Class 1-A State Volleyball Playoffs. WINCHESTER, VA. -- The North Carolina Wesleyan College football team, led by senior wide receiver Trey Lancaster and his second straight 200-yard receiving game, fell for the first time this season last Saturday night at Shenandoah University. Lancaster's huge efforts were just not enough as a close game in the third quarter got away from the Bishops (1-1) as SU went on to win 59-21. BACK TO PASS. Louisburg College's Christian Ledbetter tries to find an open receiver during last Saturday's game. LOUISBURG -- Louisburg College made its home football opener one to remember last Saturday at Patterson Field on the campus of Louisburg High School. The red-hot Hurricanes had no problem with visiting Littlejohn Sports Academy, rolling to a 42-0 decision. 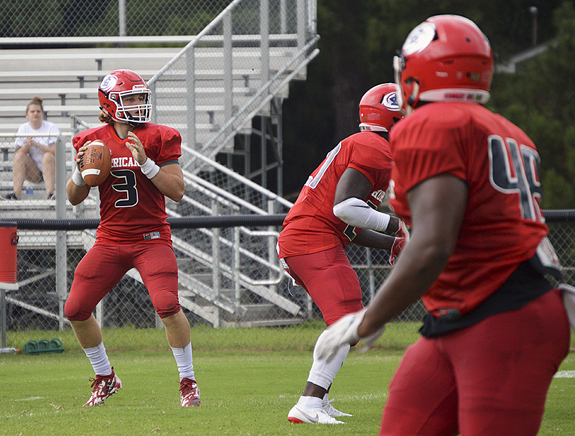 Louisburg College, after dropping its initial contest of the campaign, has won two in a row to improve to 2-1 overall under veteran head coach Trevor Highfield. 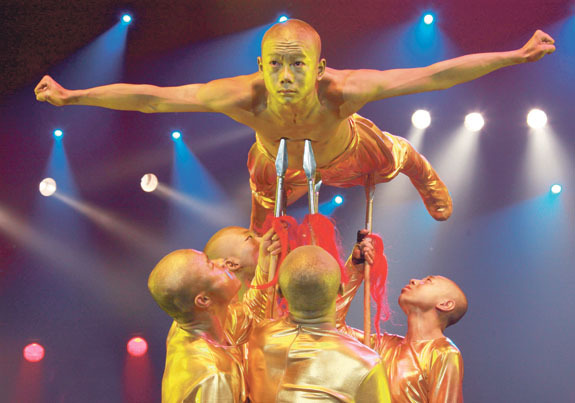 During those pair of events, Louisburg has outscored its foes by a combined score of 107-12. FRANKLIN COUNTY -- The second annual Franklin County Education Foundation Golf Tournament will be held Sept. 17 at the Heritage Golf Club in Wake Forest. Action will begin with a shotgun start at 1 p.m. Cost is $125 per golfer. Sponsorships are also available. Franklinton's Jake Rodgers (left) tries to find some running room during last Saturday's Knights Invitational Cross Country Meet at Red Oak Middle School in Nash County. Louisburg High School's Joron Davis (with ball) churns forward for extra yardage during last Friday's Northern Carolina Conference home football matchup against rival Warren County at Patterson Field on the LHS campus. 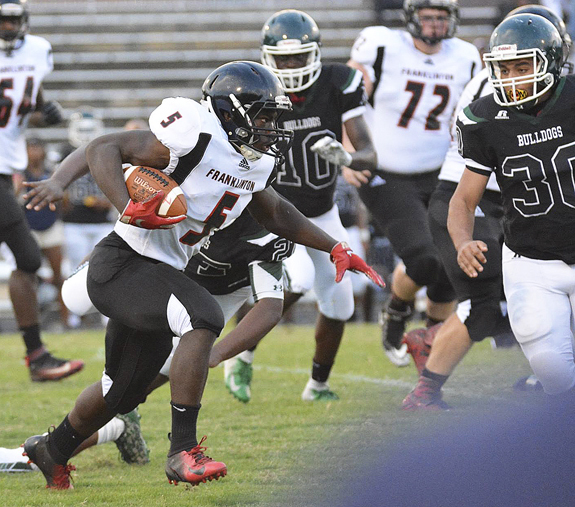 Franklinton High School's Kendall Harris picks up yardage for the Red Rams during last Friday night's road football triumph against Southeast Raleigh. Tickets are on sale for Louisburg College's 61st Allen de Hart Concert Series, featuring a variety of performances ranging from timeless R & B tunes and classic rock hits to a holiday symphony orchestra and an old-school country music show. The opening concert , 'A Temptations Review', originally scheduled for Friday, Sept. 14, will be rescheduled for a later date. 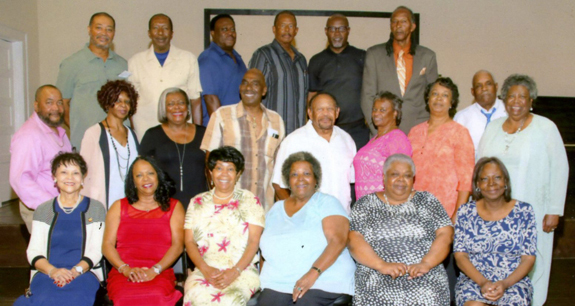 Perry's High School Class of 1968 (the last graduating class at the school) celebrated its 50th Class Reunion on Saturday, Sept. 1, in the school auditorium. 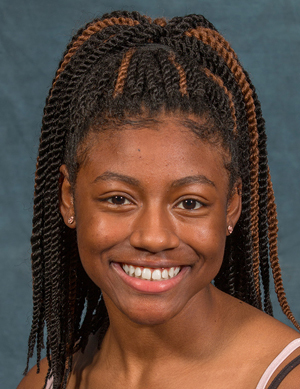 GREENSBORO -- Amari Champion of Franklinton, a senior at Franklinton High School, attended the N.C. Farm Bureau's Institute for Future Agricultural Leaders (IFAL) Program at North Carolina Agricultural and Technical State University. FRANKLINTON -- A majority of town commissioners met with a man last week that, if given the thumbs up, could become the town's interim manager. Commissioners Dr. Phil Meador and Brad Kearney were expected to have met with Gregory Bethea this week to see how they felt about the career municipal servant's ability to steer Franklinton into the future. BUNN -- Plans for a new town park are moving ahead while any plans for a new town hall are not in full swing. Commissioners were also given a homework assignment: review a draft purchasing policy with plans to approve the document next month. 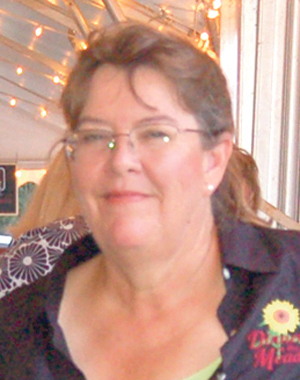 Commissioner Sherry Mercer informed the board and the public that the town has been awarded a $31,000 matching Parks and Recreation Trust Fund grant to build a play area. Mercer said the town expects to have a contract in hand for the project in November. Dining in a meadow aids fall crops! LOUISBURG -- It's not clear if Sunday's unseasonably cool weather was a harbinger of things to come this fall and winter, but even if it's just as cold as usual, produce at In Good Heart Farm will still be cropping up. 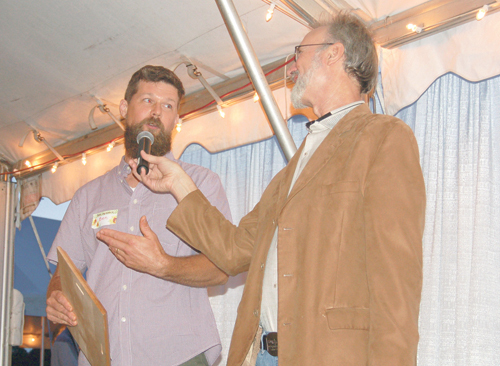 Ben Shields and Patricia Parker received a $5,000 Leonard-Mobley Small Farm Fund grant they will use to erect a high tunnel at their Pittsboro farm. 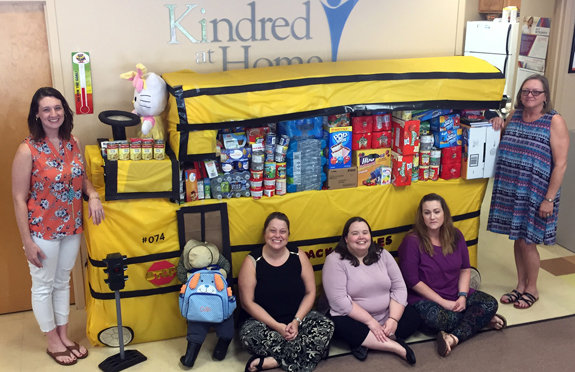 Kindred at Home in Youngsville has collected 537 pounds of items for its 14th annual food drive. The food will be donated to a local elementary school for their back pack buddy program. Pictured, from left to right, are Jessica Ingino, Jessica Richardson, Caroline Murphy, Barbara Gwinn and Cindy Wood. RALEIGH -- The State Department of Health and Human Services has made $43.9 million available to residents facing heating and cooling crises in their homes. The money comes from the Administration for Children and Families to support the Crisis Intervention Program during this fiscal year 2018-19. Residents interested in the assistance should contact the Franklin County Department of Social Services or their local department if outside of Franklin County. RALEIGH -- A delegation of Franklin County 4-H members attended the three-day 4-H Citizenship North Carolina Focus in June. More than 120 youth and adults representing 47 4-H programs across the state gathered June 13-15 to exchange ideas, gain knowledge and learn through hands-on experiences about the importance of being an active and engaged citizen.